On Monday John Brennan, the President’s adviser on Homeland Security and Counterterrorism, popped up at the Woodrow Wilson Center to give a major policy speech on the “ethics and efficacy” of drone use. Brennan’s argument had two main planks: That drones work and that their use is entirely legal. Both claims deserve close examination because neither is quite as simple as it seems. The CIA is running a program that is killing significant numbers of people and there is absolutely no accountability in terms of the relevant international laws. This legal analysis, while widely accepted in the United States, is both highly contentious and deeply flawed. In fact, it is so contentious that no other NATO member shares it. Wars are fought between states in defined theaters of conflict. Brennan drew a comparison with World War II, but World War II was fought on the territories occupied by the parties to the conflict and not just anywhere that was considered expedient. In World War II the United States and its allies recognized the neutrality of non-combatant states. A great example of how the Allies operated within these constraints and still managed to protect their citizens, involves the Nazi pocket battleship Graf Spee being scuttled in Montevideo harbor. Look it up, it’s a fantastic story. Better yet watch the movie, it’s good too. A more appropriate analogy for the point Brennan was trying to make would have been President Nixon’s much reviled decision to secretly bomb Cambodia during the Vietnam conflict. That too was an illegal act under international law and it didn’t end well. Incidentally, while we’re on the subject, another thing we didn’t feel the need to do in World War II was torture people and, lest we forget, the other side in that conflict had death camps, Kamikaze pilots, V1 guided missiles and V2 ballistic rockets. Even Nixon didn’t go as far as trying to legalize torture. Another legally contentious issue is the fact that the drones used for the strikes in Pakistan, and some of the strikes in Yemen, are being operated by the CIA, rather than by military personnel. This is being done precisely because the CIA is less transparent than the US military, and because the Obama administration wants to conduct these operations with as much secrecy, and as little oversight, as possible. The problem here is that CIA officers don’t meet the traditional Geneva standard for lawful combatants as they don’t typically wear uniforms or carry their weapons openly. The extent to which they fall under a recognized chain of command and observe the laws and customs of war are also debatable. You may recall the phrase “unlawful combatant” from the Bush era. That label fits the drones program perfectly. So, if they are not legal, do CIA drone strikes at least work? At the tactical level, as Brennan outlined, Al Qaeda does appear to be at least temporarily weakened. However, since 2005 Al Qaeda has prepared for this eventuality by adopting a concept of operations developed by Abu Musab al-Suri called nizam la tanzim. This literally translates as ‘a system, not an organization’ and it is a variant of the theory of leaderless resistance propounded by the American Aryan Nations propagandist Louis Beam in the 1980s and 90s. You know it better as the ‘lone wolf’ threat. For several years now, Al Qaeda Central has adjusted to its new reality by seeking to inspire attacks rather than plan and conduct them itself. The Fort Hood shootings and the failed Times Square bombing are just two examples of this approach. That’s the thing about asymmetrical opponents – just when you come up with a tactic that you think works, they come up with a tactic to negate it. As for the strategic dimension, it is difficult to make the case that Pakistan is a more stable country because of drone strikes than it was ten years ago, and Pakistan has nukes. So let’s drill down on some of the detail about CIA drone use. There are two distinct types of CIA drone mission: ‘personality strikes’ and ‘signature strikes’. Personality strikes target an individual on one of the Obama administration’s kill lists. Signature strikes are operations triggered by pattern analysis – pulling together threads such as suspect vehicles, suspect buildings, communications nodes, group numbers and patterns of behavior to identify a promising target of opportunity. There has been a lot of talk about the accuracy and near infallibility of the drones program – Brennan himself has said in the past that drones have killed 40 militants for every innocent civilian life lost – but the reality is nothing like as neat and tidy. We don’t know many facts about the drone programs operated by the CIA but what we do know does not support the surgical strike narrative. We know that that doesn’t look good to our allies who are much more concerned with upholding international law than we are. We know that the first CIA ‘personality strike’ in Pakistan killed two children, as well as the intended target. We know that some of the targeting intelligence used for drone strikes came from Al Qaeda double agent Humam Khalil al-Balawi who ultimately killed 8 CIA operatives, including his handlers, in a suicide bombing on a US Forward Operating Base in Khost, Afghanistan, in December 2009. We know that the first ‘signature strike’, which occurred in Afghanistan in February 2002, killed three entirely innocent people and no militants. A drone fired on three Afghan men in the vicinity of Zhawar Kili simply on the basis that one man in the group was abnormally tall, and bin Laden was believed to be of a similar height. We know that it took fourteen attempts before the CIA finally killed the leader of the Tehrik-i-Taliban Pakistan (TTP) Baitullah Mehsud in a drone strike in Waziristan in 2009. To spell it out, that means thirteen of fourteen strikes did not hit their intended target. 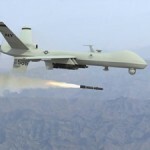 We know that there have been more than 260 CIA drone strikes in Pakistan. We know that the Bureau of Investigative Journalism in London estimates that between 282 and 535 civilians, including more than 60 children, have been killed in these strikes. We know that there have been 27 drone strikes in Yemen since 2009 in which a reported 198 militants and 48 civilians have been killed. We know that at least four US nationals, including one minor, have been deliberately targeted and killed by U.S. drone strikes in Yemen. We know that President Obama has pressured the Yemen government to keep a Yemeni reporter, Abdulelah Haider Shaye, who has investigated the impact of US drones strikes in Yemen, locked up in jail. In short, we know that Brennan’s 40-to-1 metric was, at best, wrong and, at worst, a deliberate falsehood. 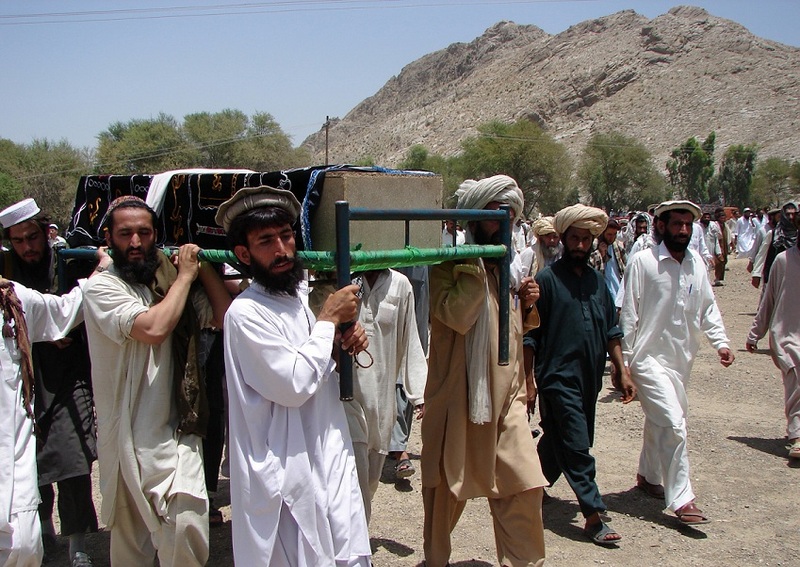 We know that drones do kill militants but they also kill innocent civilians. We know that they kill both of them outside the framework of any recognized international law. We also know that yesterday’s speech, which masqueraded as an exercise in transparency, was in fact anything but. This entry was posted in Security and Human Rights, Torture, USA and tagged Abduleh Haider Shaye, Abu Musab al-Suri, abuses by armed groups, Al Qaeda, Baitullah Mehsud, Bureau of Investigative Journalism, CIA, drones, Humam Khalil al-Balawi, John Brennan, Louis Beam, Nixon, osama bin laden, pakistan, Philip Alston, President Obama, security with human rights, Tehrik-i-Taliban Pakistan, UAVs, Yemen, Zhawar Kili by Tom Parker. Bookmark the permalink. Droning should be banned because it is very boring and puts me to sleep. I don't know how it came to this and how these things are till being carried out without any consequences. I guess when you're such a big power like the US you can do anything. Get 100% safe and working animal jam codes pets online. You can also get animal jam game codes for membership completely free of cost.